The Curse of the Black Knight — GTFO! I have experienced EscapeX’s other rooms, The Attic and Mafia Heist. EscapeX is easily one of my favorite escape room companies in the OC due to their immersion and creativity. Anthony was our GM and has told us that he helped create this escape room. Anthony also told us that he has done over 400 escape rooms! GEEZE LOUISE! The room had a linear puzzle flow and every single puzzle was fun. Due to the linearity of the room, this escape room is fit for beginners as well as smaller groups. This could definitely be a date night escape room for a couple. The puzzles were of the easy-medium difficulty range, however, each puzzle was solid and created with great detail. The immersion of this escape room is on point! Loved the details they put into the room. The escape room maybe too small for 5-6 people as space is limited and the puzzle flow is linear. Many people would be around the same puzzle. There is a 16 year old age restriction because there are real weaponry used the escape room. Lastly, there’s a possibility one won’t escape alive even though the final task was completed. The value of this escape room is incredibly high with it’s price and escape experience. Yes! 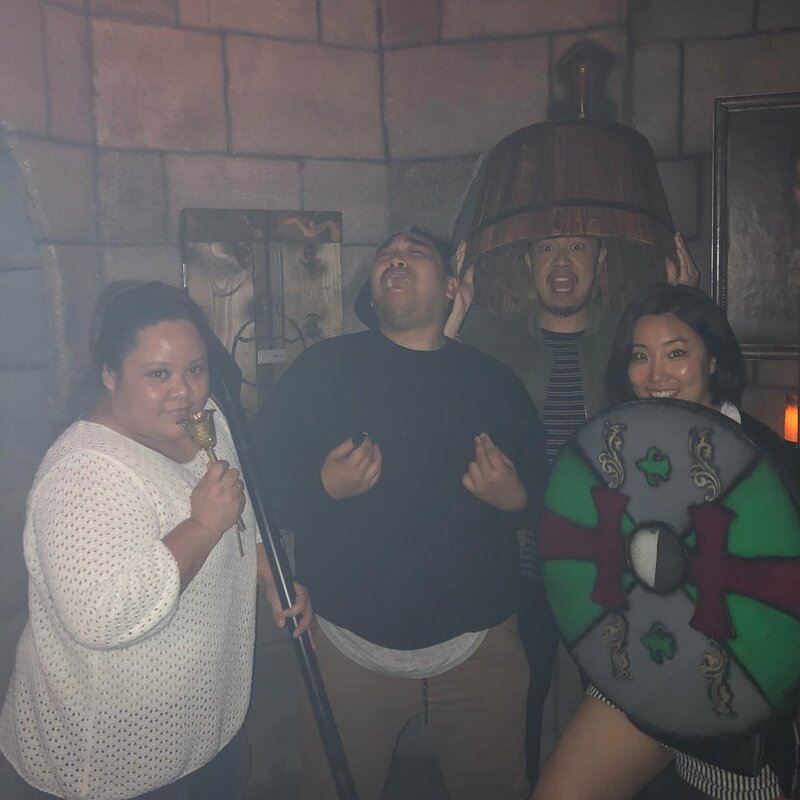 EscapeX Rooms makes very immersive escape rooms and is easily on the top ones in the OC.